Acidity, the most common problem faced by everyone. In olden days, only the adults experienced this trouble. But Nowadays it becomes quite common for all ages. Even the just born baby is also suffering the acidity problem. Due to improper balances in the digestive system, gastric problems will happen. In some cases, hyperacidity leads to heartburn attacks. Hence we have given the Top most Proven Home Remedies for Acidity which has no side effects and completely safe. There are many causes for the acidity, heartburn problems. Most of them are related to the diet which we follow daily. Spicy foods and fatty food items, citrus fruits like lemon, tomato, etc. are the acidity causes. Overweight also causes acidity due to poor digestion. Some beverages, alcohol, are also the causes of Uric Acid. Certain Medicines also leads to acidity. Heavy meals taken before going to bed can lead to Acid Reflux. 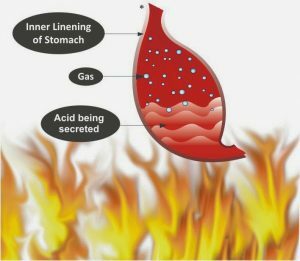 Are you tired with the Acidity or Acid Reflux troubles? No longer and soon you will get rid of these problems by just following the home remedies for acidity. You need not search for the items required for the remedy preparation. These are all available in our kitchen and cost effective. Also, gives the quick relief from the gastrointestinal problems. Ginger is the most available product in our kitchen. It works as the excellent home remedy for acidity. Since it has the anti-inflammatory properties, treats hyperacidity quickly. In addition to this, also overcomes the acids in the stomach. Also, stops nausea and stomach woes. Chewing the ginger root will let you relief from the hyperacidity and heartburn. You can also take the ginger juice by boiling the small pieces of ginger roots in 2 cups of water. Taking the ginger tea about 15 min before you take a meal. Also, you can consume the ginger by adding some amount of jaggery. Fluids like Water and Buttermilk acts as the natural home remedy for uric acid. Drinking lot of water reduces the acid reflux completely. You will feel quick relief from the acidity by taking the buttermilk 4 or 5 times a day. Alternatively, the combination of the buttermilk with some coriander leaves cures the uric acid. Also, mix the buttermilk with a small amount of black pepper powder. Paste the fenugreek seeds with a cup of water. Add the fenugreek seeds paste in a glass of buttermilk. Take this emulsion to relieve from the tummy pain. It is one of the home remedies for acidity. Fennel seeds popularly known to everyone as saunf. It acts as the natural herb for the digestive problems. 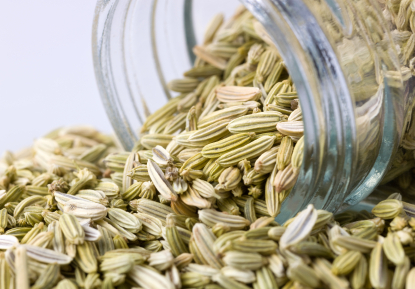 Anethole, the compound present in the fennel seeds suppress the gastrointestinal tract spasms. 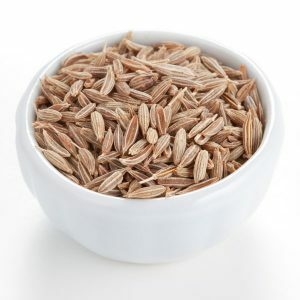 Chew some fennel seeds after eating a heavy meal. Or else, heat the water by adding fennel seeds. Strain it well and drink the liquid for 4 to 5 times a day. You can consume the fennel seeds powder with 1 tbsp of honey for hyperacidity treatment. Cloves work as the wonderful drug for the treatment of uric acid. The acidity is caused due to the low amount of acid in our body. Hence to cure the acid reflux, cloves increases the level of essential hydrochloric acid. As a result, you will let out from the gastric pain. Eat one or two cloves to relieve from the acid reflux. You can take the combination of cloves with the cardamom in fixed amounts for acidity treatment. It is the powder made from 3 products like amla, vibhitaki, and Haritiki. Naturally, it is used for the ayurvedic treatment. But also the excellent home remedy for the acid reflux. It reduces the problems like Constipation, Gastric & Digestive troubles. 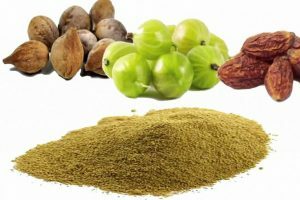 Triphala Churnam powder is used for any problems mainly related to the gastrointestinal tract. Also responsible for healing ulcers and normal bowel movements. Either you can prepare this powder in the home itself or use the readily available powder bottles in the market. Take 1 or 2 tablespoons of powder with lukewarm water. Among the list of Home Remedies for Acidity, Cumin Seeds is one. It takes the action for the Uric Acid treatment. Cumin Seeds is responsible for the reduction of stomach pain and uric acid. Grind the roasted cumin seeds in the form of powder. Mix this powder in a cup of water. Take this liquid after your meal. Also, you can boil the cumin seeds in a cup of water. Strain it and drink after taking every meal. Alternatively, mix the powder of fennel seeds, cumin seeds, coriander seeds with some sugar in a glass of water. Take this emulsion on an empty stomach. Aloe Vera is one of the common home remedies for Acid Reflux. It shows the immediate effect for the person who is suffering from the inflammation or indigestion. Aloe Vera is also a well-known product for the Uric Acid treatment. Due to high abundant of the proteins, amino acids, folic acid, cures the high uric acid and acid reflux in the body. The yellow color pulp inside of the leave acts the great agent to calm down the acidic pain, gas, heartburn, etc. Drinking 1 or 2 cups of the aloe vera juice will vanish the gastric problems completely. Like other many home remedies for uric acid, Apple Cider Vinegar takes the initiative to reduce the acid level in the stomach. It mimics the heartburn and other digestive problems that cause the acidity. It is prepared from the crushed apples. Apple Cider Vinegar function as the protective layer for the intestine to prevent the acids. The antimicrobial properties of this product avoid the intestinal problems that cause Acid Reflux. Mix 1 or 2 tablespoons of apple cider vinegar in a cup of water. Drink this juice once or twice for a day. You can also eat an apple directly. The main reason for the gastric and heartburn issues is eating a large amount of food at once. Also, late-night eating causes the acidity. So to prevent the uric acid and acid reflux production in the body, follow some diet rules. Avoid foods that are spicy and which triggers heartburn problems. Do not eat the foods that are rich in acids especially citrus fruits like tomatoes, lemon, etc. Try to eat slowly by taking smaller bites. Also, don’t take the meal before going to bed. Maintain at least 2 to 3 hours between the meal and sleep. Because the immediate sleep will apply pressure on your LES. Due to smoking, acid reflux produced in our body. So to prevent acidity, stop smoking. Try to lose weight because excess fat in the abdomen increases the acid levels. We thought these home remedies for acidity would help you to relieve from Acid Reflux, Heartburn problems. These are the natural tips which do no have any side effects. Following these natural home remedies for Uric Acid for once is not enough. To obtain the best result, use these best-proven tips regularly.